With pressure escalating during one of the worst weeks in its almost 15-year-history, Tesla Inc. raced to manufacture and deliver as many Model 3 sedans as it could to report to rattled investors. The carmaker still probably came up short. Tesla’s Fremont, California, delivery hub was packed with people Saturday evening as the last hours of the quarter drew to a close. Red couches and tall white tables were set up outside, a DJ played music and a truck selling Vietnamese food was on hand. Behind the scenes, a company that’s struggled to figure out how to mass manufacture cars had implored workers to get production on track and disprove their doubters. But the skeptics are getting louder after the last few days. The electric-car maker led by Elon Musk has come under regulatory scrutiny for the second crash this year involving Tesla’s driver-assistance system Autopilot, the latest of which resulted in a fatality. Moody’s Investors Service last week downgraded the company’s credit rating further into junk, saying production problems and mounting obligations could necessitate a more than $2 billion capital raise soon to avoid running out of cash. Tesla shares dropped as much as 5.1 percent in early trading on Monday. “It’s about the magnitude of the miss,” Philippe Houchois, a Jefferies Group LLC analyst who rates the shares a hold, wrote in a report to clients Monday. Tesla probably fell short of a company-supplied consensus estimate of 10,000 Model 3 deliveries in the first quarter and may have trailed its target to end March making the sedan at 2,500-unit weekly rate, he said. Tesla faces a pileup of other challenges, including scrutiny of Autopilot. The National Transportation Safety Board is investigating a fatal Model X crash that occurred March 23 in Mountain View involving a driver who had engaged the driver-assistance system. Tesla published a blog post late Friday that said the driver didn’t have his hands on the steering wheel for six seconds before colliding with a highway divider, despite receiving several visual and one audible warnings earlier. The NTSB is “unhappy” that Tesla is disclosing information during an active crash investigation, spokesman Chris O’Neil said Sunday. The agency will look into all aspects of the incident, including the driver previously raising concerns about the Autopilot system, he said. “This is another potential illustration of the mushy middle of automation,” Bryant Walker Smith, a University of South Carolina law professor who studies self-driving cars, said in an email. Partial automation systems such as Tesla’s Autopilot “work unless and until they don’t,” and there will be speculation and research about how safe they are, he said. Tesla’s nightmare week also included a Moody’s downgrade of the company’s corporate family rating to B3, six levels into junk, which sent its unsecured bonds to all-time lows. Late Thursday, the carmaker recalled all 123,000 Model S cars built before April 2016 to retrofit a power-steering component. 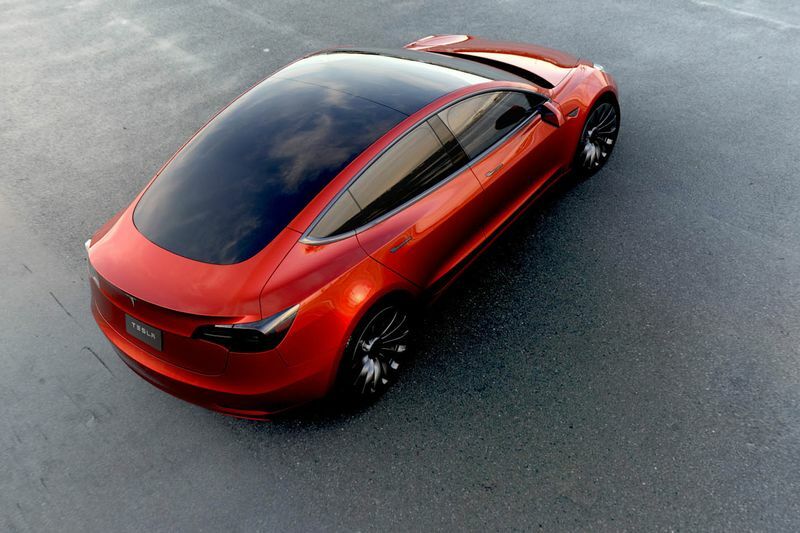 Tesla’s release of Model 3 deliveries results may “diffuse some of the near-term ‘headwinds from the headlines,”’ wrote Albertine, the Consumer Edge Research analyst. Investors may be looking for the company to report that it made about 1,750 Model 3 sedans a week, which many would view as positive progress despite being below the company’s guidance, he said. 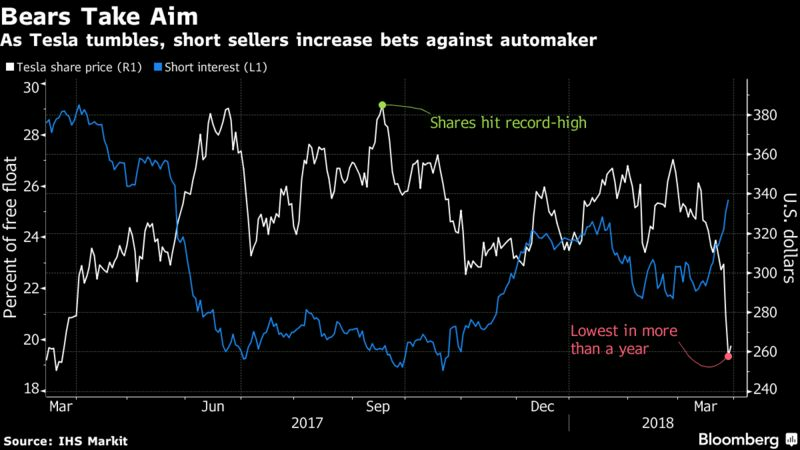 “While it seems a perfect storm is weighing on shares, we are buyers into pressure as Model 3 production ramps,” Ben Kallo, an analyst at Robert W. Baird, wrote in a report Monday.